The Artist Who Says Neigh and Blazes His Own Trail In The Art World. 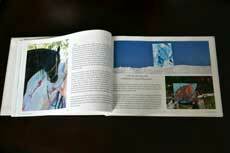 Full color hardback book now available. Everyone seeks to find their passion in life. 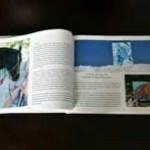 This is a story of a non-traditional artist who has been successful at finding his. 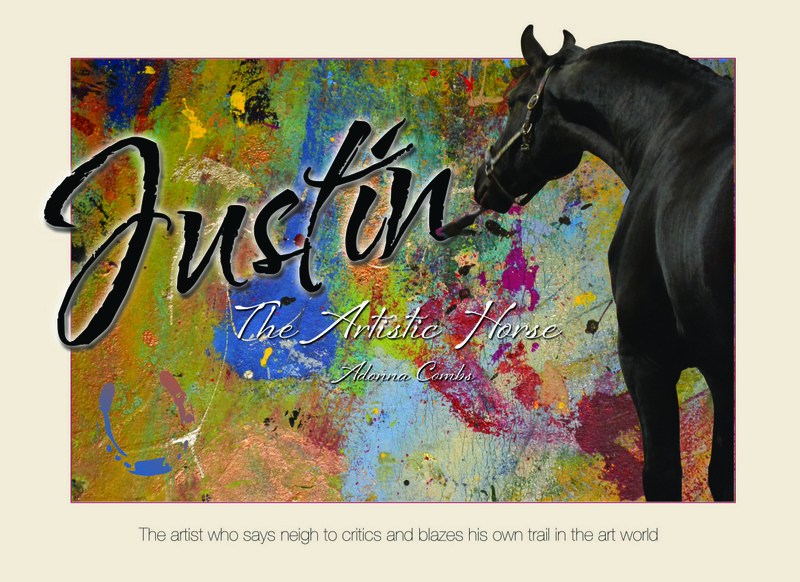 Justin The Artistic Horse, the artist who has captured the interest of many people across the nation with his passion of abstract painting. 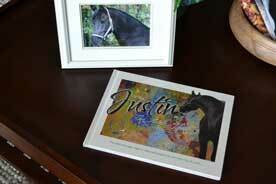 This full color hardback book contains many images of Justin and his paintings. $39.95. 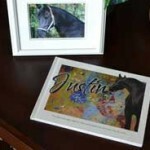 Adonna Combs, recognized Justin’s talent when he grabbed her riding whip and began drawing in the sand. Adonna, who has a degree in fine art, wondered if he was trying to tell her something. She got some paint, poster board and tied a brush to the end of her crop and Justin seemed to understand exactly what to do. Thus, an artist was born! “Painting with Justin is magical, there is a beautiful harmony between us”.